The Parsons family arrived at Birr in 1620. They acquired the ruined fortress of Birr. 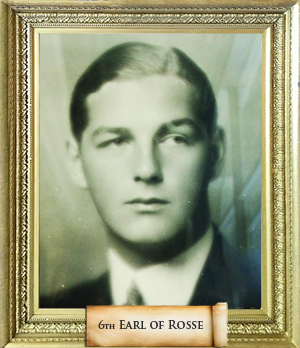 It had been an O’Carroll castle, but had for some twenty years belonged to the Ormond Butlers. 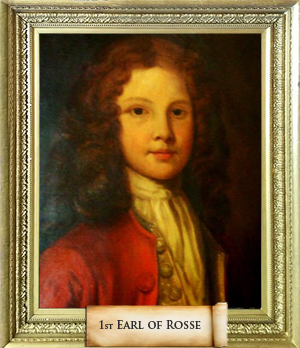 Sir Laurence, one of four brothers living in Ireland at the beginning of end of the 16th century, had been working with his cousin Richard Boyle the great Earl of Cork,(to whom he was related through the Fenton family , in Youghal. Laurence died suddenly in 1628 and was succeeded by his second son, William, ably supported by his mother, Anne, née Malham, a Yorkshire woman related to the Tempest family. Sir Laurence’s elder brother, also William, became Surveyor General of Ireland and founded the elder branch of the family, living in Bellamont, Dublin. This branch died out at the end of the 18th century. 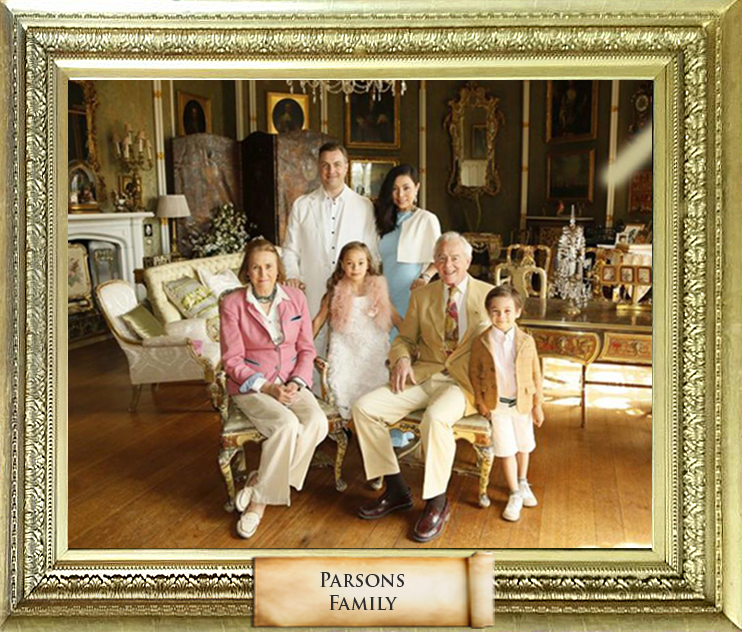 The 17th century was a turbulent one for the Parsons family in Birr. The castle was involved in two sieges, the first in the 1640s where the family moved for a time to London, before returning at the end of the Cromwellian period. In 1690 the castle was besieged again, by Sarsfield. This time the Castle held out and Sarsfield moved on. The 18th century was a quiet period for the family who were left with little money and returned to improving their estates at Birr and living off the land. Towards the end of the century Sir Laurence, (5th baronet) became a politician and friend of Flood and Grattan. He was praised for his honesty. He opposed the Act of Union. 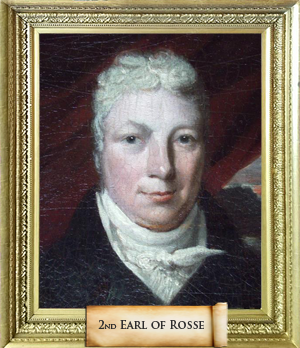 He became 2nd Earl of Rosse in 1807 when he inherited the title from his Uncle. 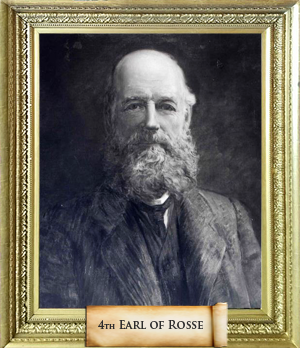 The 19th century saw the castle become a great centre of scientific research when William Parsons, 3rd Earl built the great telescope. (See astronomy).His wife, Mary, whose fortune helped him to build the telescope and make many improvements to the castle, was a pioneer photographer and took many photographs in the 1850s. Her dark room – a total time capsule which was preserved in the Castle – has now been exactly relocated in the Science Centre. 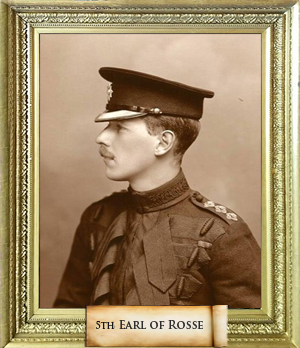 Their son the 4th Earl also continued astronomy at the castle and the great telescope was used up to the beginning of the 2nd world war. 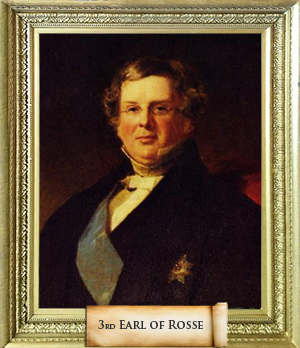 His son the 5th Earl was interested in agriculture and visited Denmark in search of more modern and successful methods. Sadly he died of wounds in the 1st world war. His son, Michael the 6th Earl and his wife Anne created the garden for which Birr is now famous. (see the gardens and trees and plants) Anne, who was the sister of Oliver Messel the stage designer, brought many treasures to Birr from the Messel collection and with her skill in interior decoration and artist’s eye, transformed the castle, giving it the magical beauty that is now apparent to all. Michael was also much involved in the creation of the National Trust in England after the war. Their son Brendan, the present Earl, spent his career in the United Nations Development Programme, living with his wife Alison and their family in many third world countries. He returned to Ireland on his father’s death in 1979. Brendan and Alison have also spent much time on the garden, especially collecting and planting rare trees. They opened the castle to the public in 2014 and it is now possible to see round the reception rooms in the mornings in the summer months. 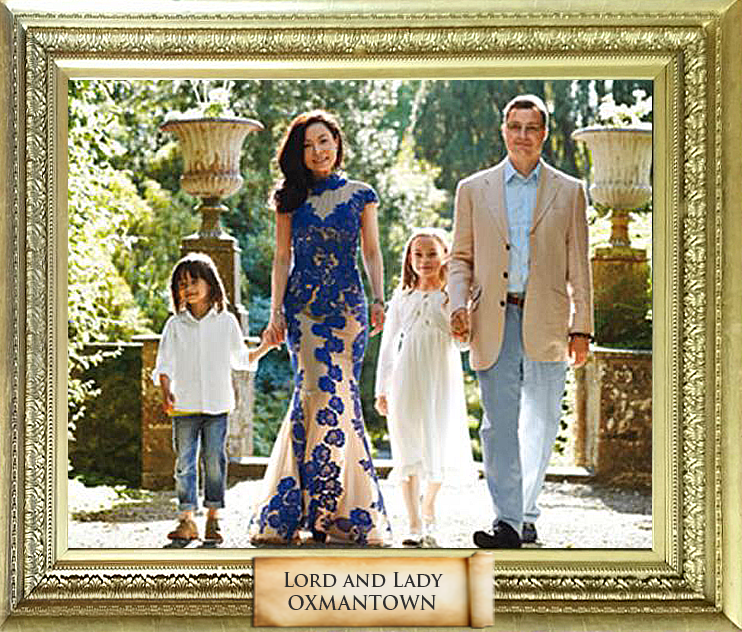 Patrick, their son and his wife, Lord and Lady Oxmantown, have also returned to Birr and help to run the Castle. Anna Lin, Lady Oxmantown, comes from Tienjing in China, and since their return there has been much contact with China and many Chinese groups now visit the castle. 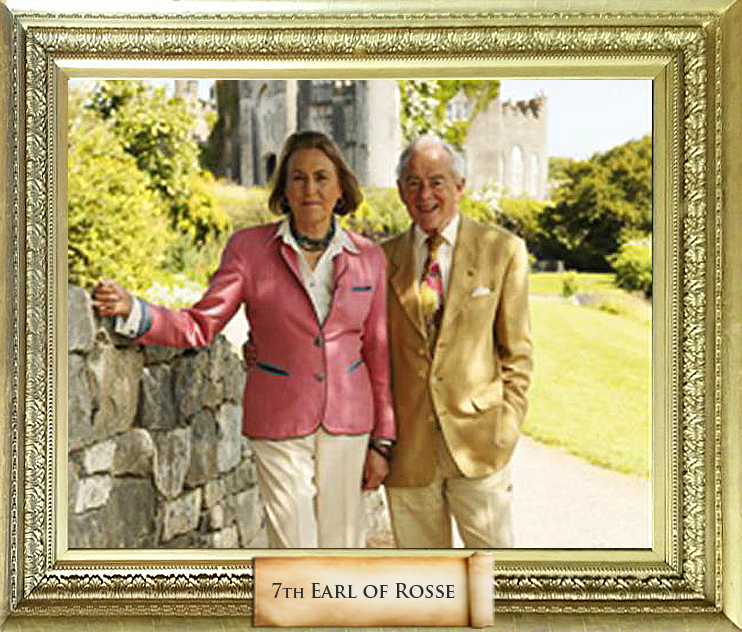 The two younger children of Lord and Lady Rosse, Alicia and Michael also help in running the demesne and on the estate.